We immerse ourselves in contemplation of the natural wonders of Brazil, with a river cruise aboard a typical boat that takes us to Praia do Gunga, where the ocean and river meet and the word "paradise" finds its earthly incarnation. We will leave the port in the direction of the southern coast of Maceió and head to the town of Barra de São Miguel, one of the most popular tourist areas in the State of Alagoas, with white sandy beaches, calm clear waters and islands covered by extensive mangrove vegetation. We embark on a saveiro, a typical coastal sailing boat and go on a lovely trip to the São Miguel river and the Roteiro lagoon, with their deep blue waters surrounded by emerald green vegetation. We make a stop on the fabulous Praia do Gunga, a magnificent white sand beach which is at the point where the São Miguel river empties into the Atlantic Ocean. Here we can dive into the crystal clear waters, while an expanse of palm trees gently swaying in the wind waves at us from the beach. 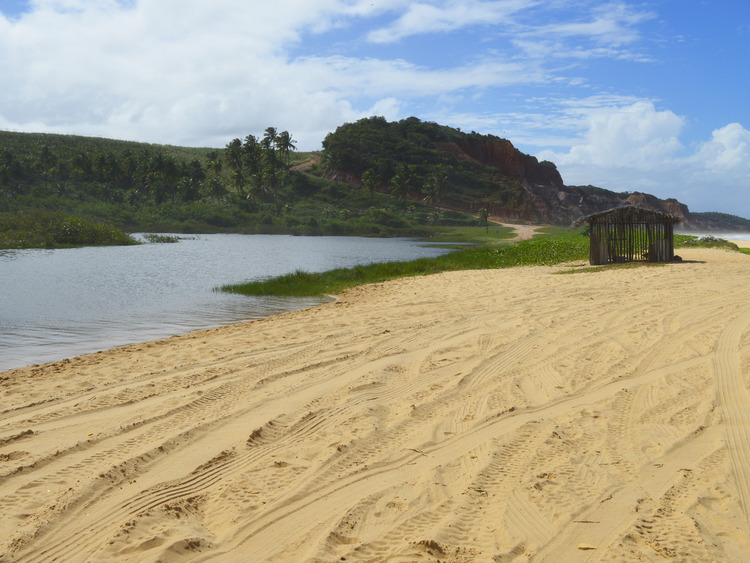 We return to Barra de São Miguel on our saveiro, and go from there to the port, for one last look at the beautiful beaches lining the coast as we follow the southern coast of Maceió.